Traditional Sealing Wax has a wick for easy use. It is a good idea to have a candle nearby to assist with lighting or relighting your stick. 2. 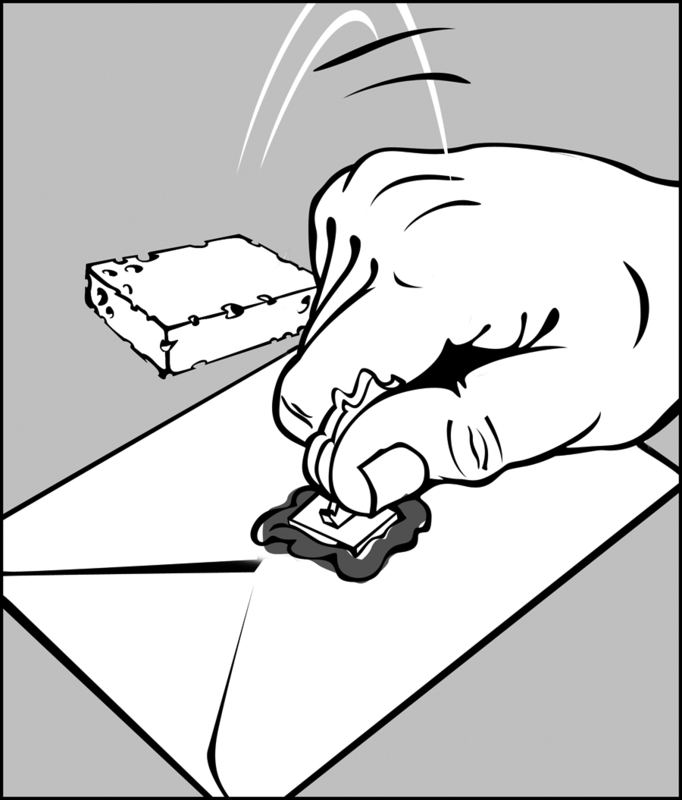 Moisten your Seal (can be done with a wet sponge, rubbing a touch of oil, or with our Stamp Pads. Pay special attention to the grooves. 5. 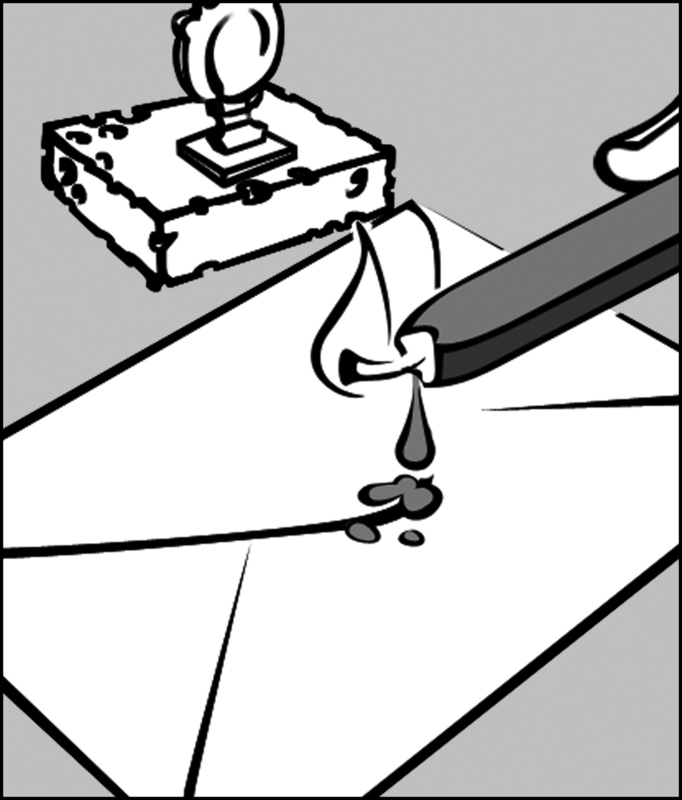 Hold the stick at a 45° angle, about 2-3" above the envelope, and drip the wax starting with the outer edge of your traced seal and drip until you have filled the shape. (You can adjust the angle of the wax stick to adjust the speed of the wax drops). 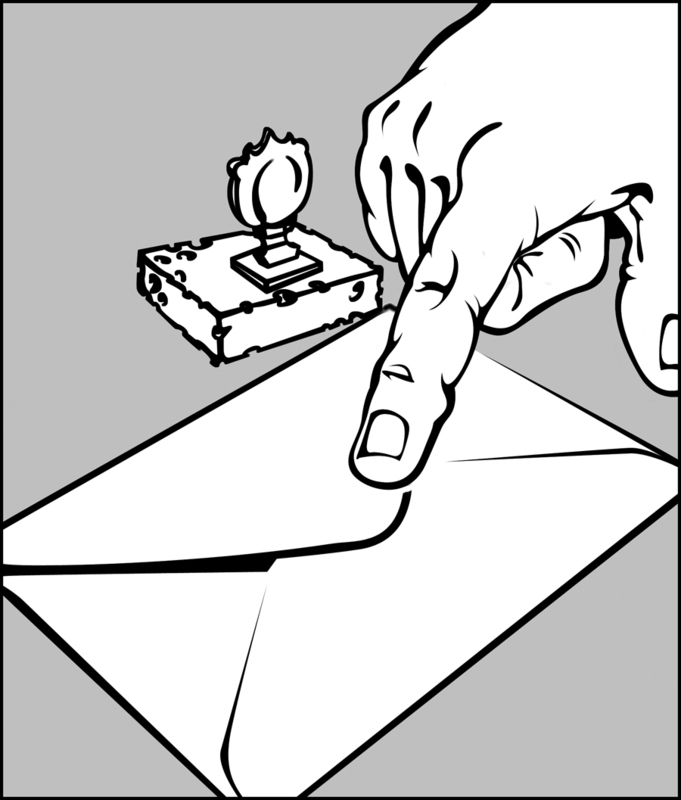 Do not hold the stick too close to the paper so that the wax does not reignite. 6. Blow out the wick and take the bottom of the stick and blend the wax in a circular fashion. This creates a nice edge and removes any carbon that may drip from the wick. 7. Take your moistened seal and insert in the hot wax (wait a few seconds before inserting seal into Metallic Colors for they tend to burner hotter and need a few seconds to cool). Press firmly and then pull up (only hold in hot wax for 1-2 seconds). Let impression dry. If you have any trouble keeping the wick lit, we suggest having a candle nearby to periodically relight the candle. Other causes can be that sometimes there is a wax build-up on the wick, which should be removed or the wick became wet and does not easily relight. Please remember, it is okay for each seal to look a little different from the other - genuine wax seals never look perfectly rounded! With a little practice everyone can master the art of sealing.